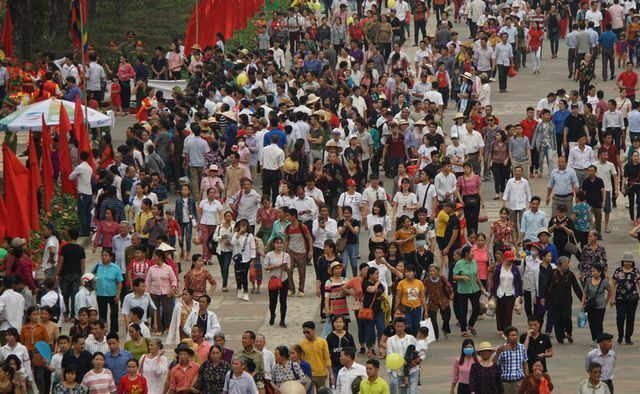 Millions of people have been rushing to attend Hung Kings Festival in the northern province of Phu Tho. 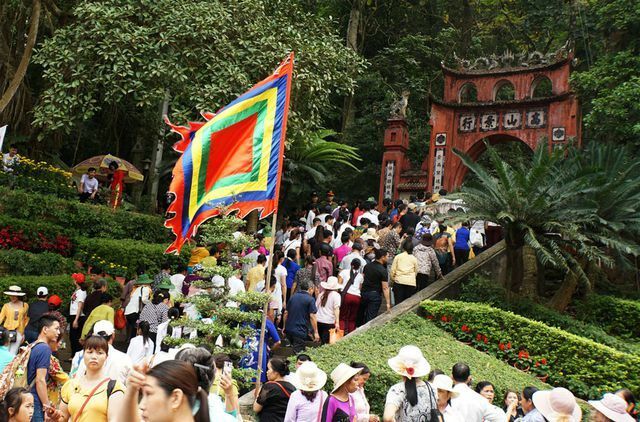 The public holiday has been held since 2000 and includes offering held at 1,400 Hung Kings temples nationwide, with the biggest event taking place at the Hung Temples Relic Site in Viet Tri City, Phu Tho. 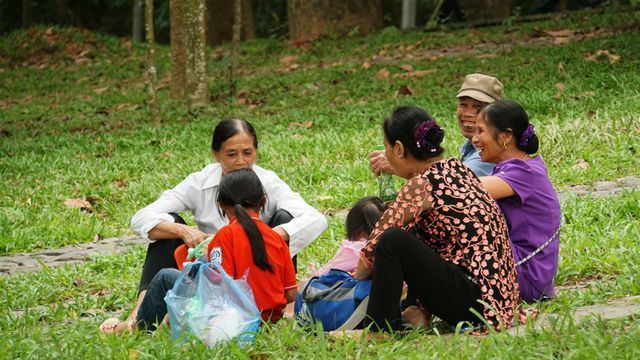 This year, the event falls on Sunday, April 14, providing a three-day holiday running from Saturday to Monday. 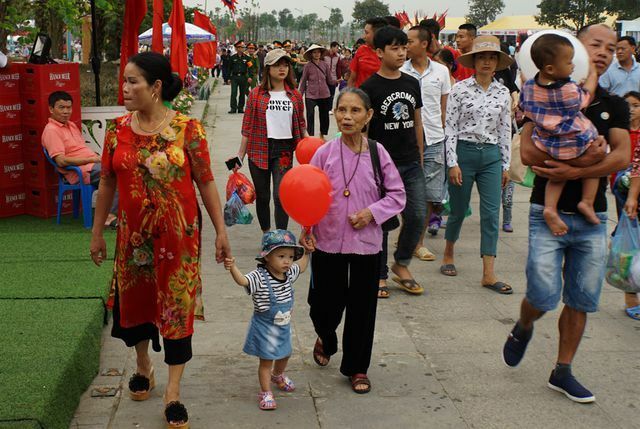 Hundreds of thousands of people visited the Hung Temples in Viet Tri City on Friday despite warm weather. Security was arranged at the site to ensure public order. 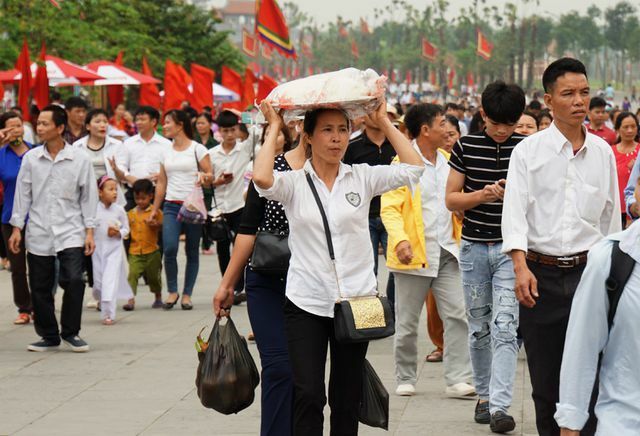 Nguyen Duy Anh, director of the site, said that the number of visitors to the place has started rising from April 5. By Friday, an alleged two million of people visited the site. Restaurants, parking lots and other services around the site to conform to operation regulations following provincial authorities’ request.